Looking for the perfect music to share with your daughter? 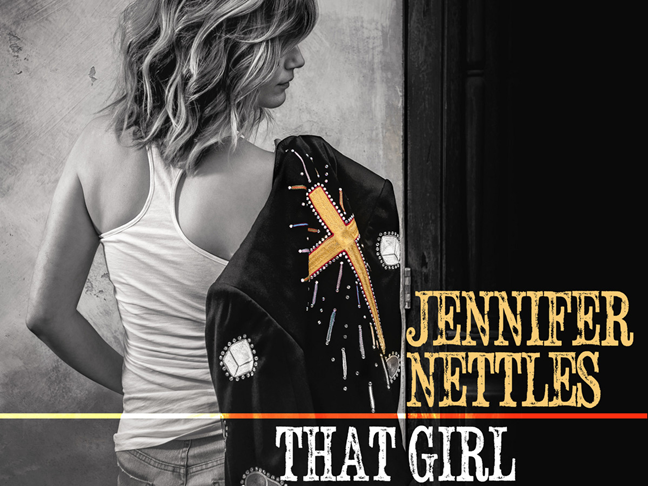 We've got a great pick for some serious bonding, so crank the volume, roll down the windows, and belt it out proud as you sing along to Jennifer Nettles new album, That Girl. Each goose-bump inducing track, in turn heartbreaking and inspiring, offers a broad-range appeal that straddles the gap between what you're into and what your daughter has queued up on her iPod. Featuring acoustic folksy guitar, exhilarating ballads, and bluesy-beats, this record is full of your new favorites—it even gets weepy with the gospel-imbued Time to Cry (we dare you not to shed a tear when listening to that one!). With just a hint of country twang, Nettles' truly remarkable voice lilts and flutters throughout the songs imbibing each with her signature soul. She collaborated with some heavy hitters on this album (including Sara Bareilles, who co-wrote the piano-heavy ditty, This One’s for You) for an outstanding collection of tracks that feature a spectrum of talents. Bob Seeger fans will appreciate the tribute made to the legendary musician as the album closes with a powerful cover of Like a Rock. So, settle in with your daughter and introduce her to a real musician (who makes a far better role model than the standard pop tarts) and take a listen to That Girl with your girl.